Raman Fiber Amplifier (RFA) is used to assiste optical transmission system design issues such as mid-span optically amplified distance, bandwidth enhancement. 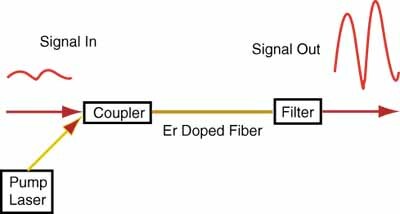 The RFA does not suffer from the limitations of Erbium-Doped Fiber Amplifier (EDFA) in that it can be integrated with the transmission fibers, and pumped at any wavelength to provide wide gain bandwidth and gain flatness by employing a combination of different wavelength pumping sources. Offering a number of possible technical advancements to optically amplified long haul transmission infrastructures, RFA has become an achievable possibility in transmission of optical signals. Different pumping configurations provide flexibility in the system for both distributed and lumped (or discrete) Raman amplifiers. 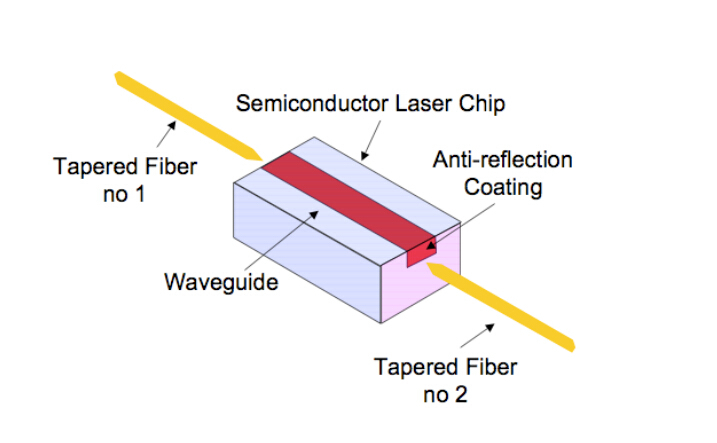 Distributed Raman Amplifier (DRA) has emerged in recent years as a key technology for modern optical networks, and especially for coherent transmission. DRA is implemented using Raman pump modules for the counter propagating backward configuration. In this configuration, DRA is most often used in conjunction with conventional EDFA amplifiers, with the Raman pump module serving as a pre-amplifier to the EDFA. In many cases the Raman and EDFA modules are combined into a single hybrid Raman/EDFA module, thus reducing costs, streamlining and optimizing performance, and achieving unified real-time control of both units. Ultra-wide bandwidth gain of about 6 THz, wide and flat gain bandwidths achievable using multiple pumps at different wavelengths, increased power budget margins. Severe effects due to nonlinearities. It is important to realise while there are some disadvantages to DRA, advancements in fiber technology have been experimented that minimise these issues. 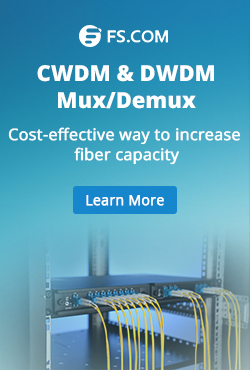 A design issue to be considered is the incorporation of Dispersion Compensation Fiber (DCF) into the system model. 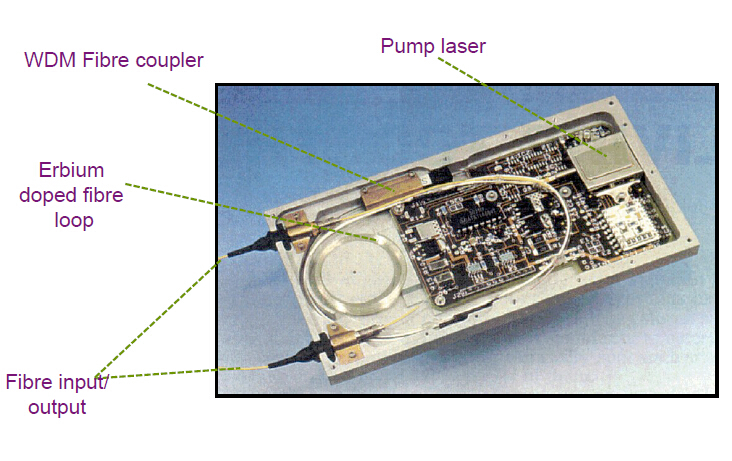 In this configuration, the Raman amplifier is a Lumped Raman Amplifier (LRA). High negative dispersion characteristics that could compensate the chromatic and nonlinear dispersion induced in the fiber from Group Velocity Dispersion (GVD) and Self Phase Modulation (SPM). Small effective area, hence lower pump power, and high Ge impurity concentration in the silica fiber. Noise can limit the performance of LRA having a gain of more than 15 dB. For smaller fiber lengths the noise figure of the LRA will be at least 3 dB because of the thermal excitation of the vibrational modes. Noise degrades the OSNR resulting in receiver sensitivity penalty and thus the amplifier gain is limited to some extent for a single LRA. Fiberstore is a world famous company who provides almost all the fiber optic network solutions, including the Raman amplifiers solution. 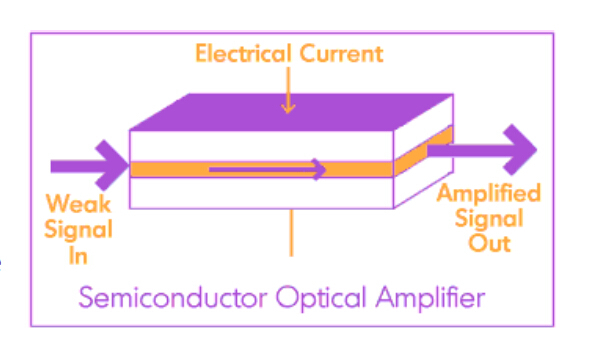 Fiberstore’s Raman Amplifiers have a wide gain spectrum, and the gain bandwidth can be further broadened by the use of multi-wavelength optical pump. 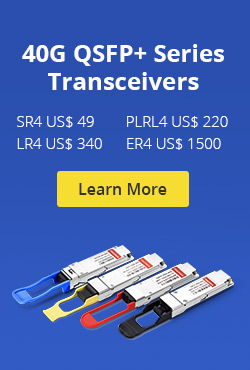 After many years of research and network testing, Fiberstore has developed and produced the series of FS-1550 Raman fiber amplifiers, and introduced it to the ultra-long haul optical fiber CATV transmission, specifically in combination with the EDFA applications. The improvement of the indicators of the link is particularly evident, thus get more flat gain spectra and higher OSNR. 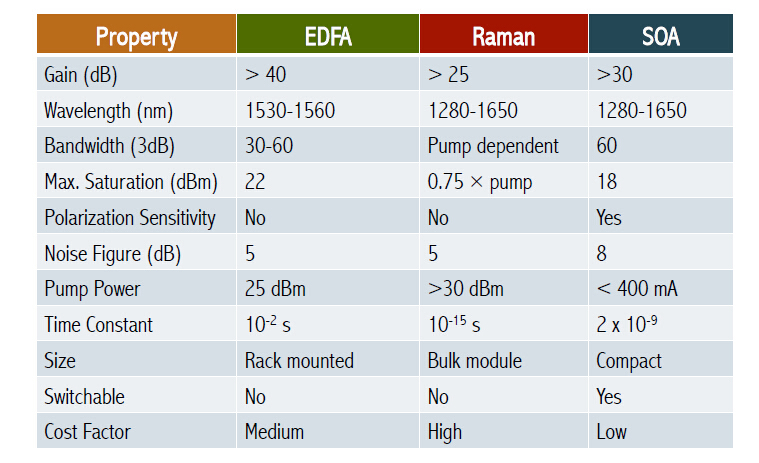 Note: When choosing an RFA, an important aspect to consider is the on-off Raman gain provided by the amplification. In other words, the gain experienced with Raman in comparison to gain experienced without Raman. The evolution of gain along the total length of the fiber can be solved through the decibel difference. The on-off Raman gain of Fiberstore’s Raman amplifiers covers a range of 6 to 16 dB. This entry was posted in Optical Amplifier and tagged distributed Raman amplifier on February 5, 2015 by Admin.